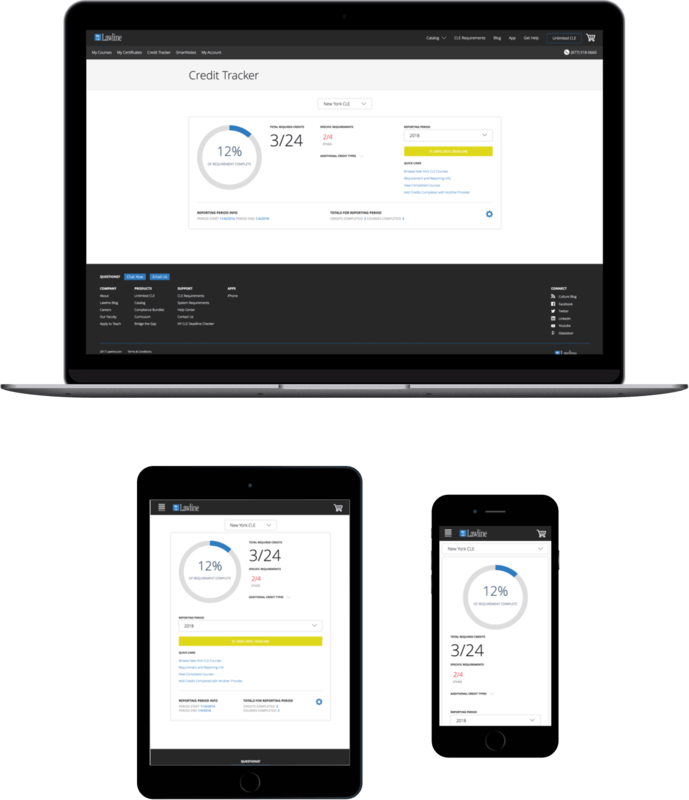 Now track all your CLE in one place with Lawline's new Universal CLE Tracker. Free forever! Track your entire CLE requirement! Manage any state credit requirement, such as mandatory Ethics, Professionalism, or Diversity. Whether your courses are via webcast, online, or live in-person, rest assured your state’s course format requirements are properly met. Add CLE credits and upload certificates earned from any CLE provider - whether obtained online, in-house, or at a live event.